wanderlust ATLANTA: "Imaginary Worlds" is Coming! 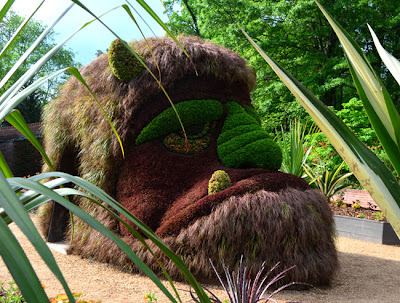 The highly anticipated Imaginary Worlds: Plants Larger than Life exhibition at the Atlanta Botanical Garden opens to the public this Saturday! The member preview is this evening and you know I'll be there. Several other friends have told me they'll be there too...and let me tell you, we're all in for a magical, magnificent treat! There have been special events at the Garden this week leading up to the official opening and I had the great fortune of being at one of those events. 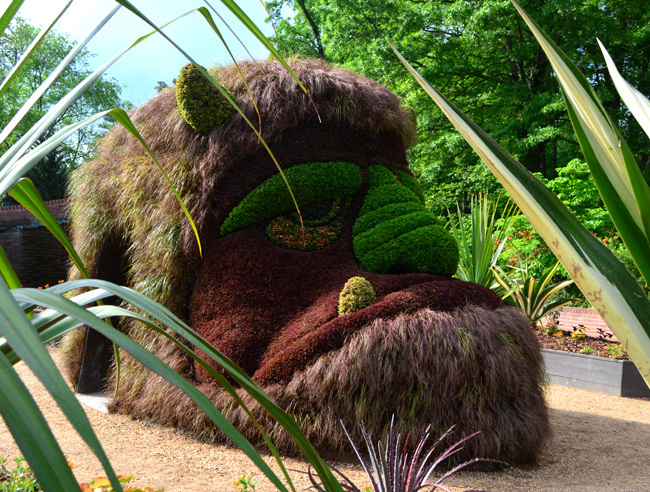 I'm at a loss for words to share with you just how incredible this exhibition is...I think Atlanta is going to fall in love with the Garden all over again! I'll tell you more when I post about the exhibition later—I'll make a lot more photos this evening. In the meantime, check out the Garden's website to learn more about this spectacular exhibition of 19 monumental, living sculptures. INSIDER TIP: The 2013 Cocktails in the Garden kicks off tomorrow, so if you go to that, you'll get to preview Imaginary Worlds AND enjoy a glass of wine.